When your system fails from internal wear, heat, oil contamination, cavitation, aeration, or metal sealing degredation, Ensil’s professional team expertly repairs and remanufactures all manner of hydraulics, valves, and pumps, meeting or exceeding OEM specifications, to get your business back on track. Ensil eliminates long hydraulic servo valve repair and hydraulic pump repair lead times from OEMs, and repairs even the most obsolete and outdated components. Our extensive testing processes ensure all mechanical and electrical components are functioning, and we test precision fittings for tolerance levels. For valves, we re-verify tolerances, clean the unit and recondition or replace contact surfaces. Replacement parts are manufactured in-house according to our OEM database for the fastest turnaround possible while keeping costs low. Once your part is repaired, we proceed with dynamic testing to ensure it is ready to get back to work. 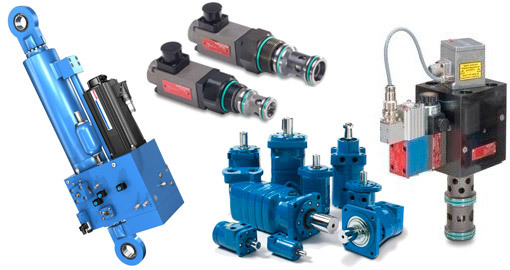 We handle gear pumps, radial piston pumps, screw pumps, peristaltic hydraulic pumps, pressure relief valves, directional control valves, load holding valves, counterbalance valves, and flow control valves. We are proud to service brands such as Bosch, Lincoln, Fanuc, Yaskawa, Kollmorgen, Rexroth, Hitachi, Danfoss, Moog, Vickers and more. Call us as soon as you have a mechanical failure, or if your parts aren’t performing up to your standards. We will let our engineers know that your component is on its way. Ship your piece to Ensil facility. Ensil provides you with a free quote for your servo valve repair or hydraulic pump repair. Once we have your approval, we test and repair your component so it functions like new. Your component is returned and your business saves money by choosing repair over replacement. Replacing machinery is extremely expensive. Allow us to remanufacture and repair it for you. Contact Ensil as soon as you have a failure to schedule your hydraulics, valve and pump repair.